Whether you’re male or female, hair loss can affect anyone. What’s more, there are many different reasons, and sometimes it doesn’t matter whether you use natural hair care products or not – you can’t always avoid it. While organic and natural ingredients can help to promote healthier hair growth, there are a host of reasons why hair loss may be something from which you suffer. Here are a few of the many reasons why, and what you may be able to do to make a change. Unfortunately, genetics is not something you can change. If your parents suffer from hair loss, then there’s every reason to believe you can too. Even conditions such as alopecia can be passed down through the generations. If you suffer from a hormonal imbalance as a result of a thyroid issue, menopause, or even an ovarian cyst, then your hair can suffer as a result. Your hair follicles and roots can weaken, accelerating hair loss far beyond what you would typically see. You may like to try a natural hair care shampoo to see if it can slow it down. When you find yourself stressed at home or work, your entire body suffers – both your skin health and your hair. You can become dehydrated, exhausted, and hair follicles are not able to access the same nutrients as before. Therefore, they weaken which can cause your hair to fall out. Get your stress under control, and you may be able to stop the dramatic hair loss. Hair loss is a usual side effect of pregnancy. It can even occur once your baby is born. Hair loss during pregnancy is because of hormonal imbalances, fatigue, and dehydration. Get ahead of the game by using a natural hair care product to inject some nutrients back into your hair follicles. Around one or two percent of Australians will suffer from alopecia, which is an autoimmune disorder. The condition causes your immune system to attack your hair follicles as it thinks it’s a foreign contaminant. 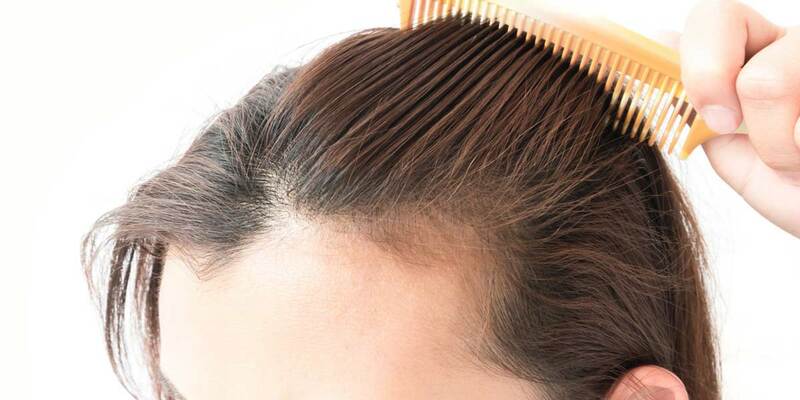 Hair loss is a common result, with it sometimes being permanent. Medication for birth control, thyroid conditions, pain relief, inflammatory diseases, diets, and more, can all impact your hair follicles, causing hair loss. Before you start on any treatment plans, check the side effect list. You can then be aware of the cause of your hair loss if it occurs. Hair loss is not something that you can always cure. However, you can set up the right environment for healthy hair growth by using natural hair products. They may not reduce or prevent hair loss, but they can make your hair and scalp feel healthy and revitalised.